We were appointed by a developer client as landscape architects on this proposed residential development scheme located at the north western edge of the village of Arlesford, Hampshire. Our landscape architects initially developed a sketch landscape design to the satisfaction of our client and design team. We then prepared a landscape architect ‘s package of information to support a detailed Planning submission for this ‘brown field’ site. The existing site contains a number of commercial buildings and associated car parking areas, all of which are to be demolished. There are a number of semi mature trees at the western end of the site that are to be retained. The site is access at its east end, from The Dean and there is a significant rise in level of 7.5m from the site’s entrance to the playing fields to the west of the plot boundary. 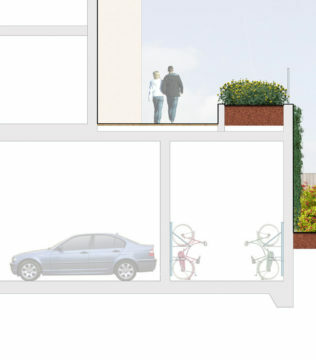 There is an existing right of access along the plot’s north edge which serves the adjacent commercial premises. 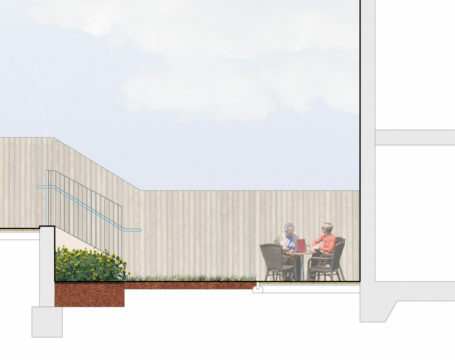 Our landscape architect’s remit was to accommodate the existing site constraints listed above within our final landscape design. 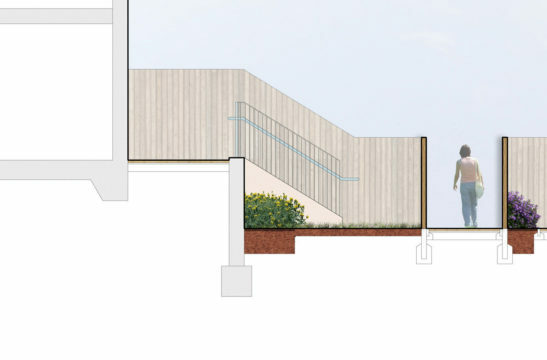 In addition, it was a stipulation of the Local Authority that a new public footpath be accommodated within the site that is to connect The Dean to the playing fields. 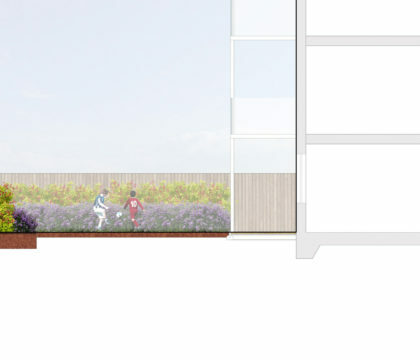 Accommodating this proposed footpath was particularly challenging for our landscape architects due to the existing site level constraints and the number of trees required for retention at the western end of the site. 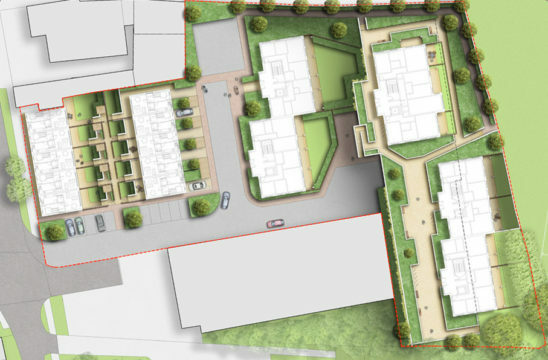 A shared carriageway is proposed by our landscape architects at the heart of the site, between two residential blocks. This space accommodates the requirements of the fire tender, refuse vehicle and delivery vehicles whilst providing a pedestrian zone for the local residents. 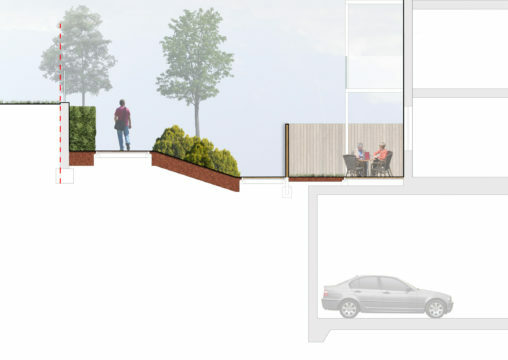 The landscape at the western end of the development is located on a podium deck which is situated above a car parking area. All planting within this are is to be located within raised planters.